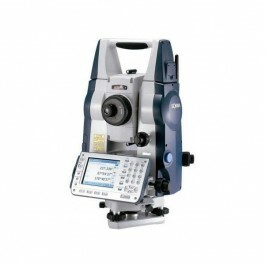 the SET1x total station has an angle accuracy of 1″ / 0.3mg and includes absolute encoders enhanced with Sokkia innovative system Independent Angle Calibration (IACS) to provide extremely reliable angle measurement with unprecedented stability. SET X features SOKKIA’s original absolute encoders that provide long-term reliability in any work-site conditions. SET1X feature groundbreaking IACS (Independent Angle Calibration System) technology for extremely reliable angle measurement.